Join us every Monday, LIVE on Channel 49, Olelo Community Media Facebook, or olelo.org. 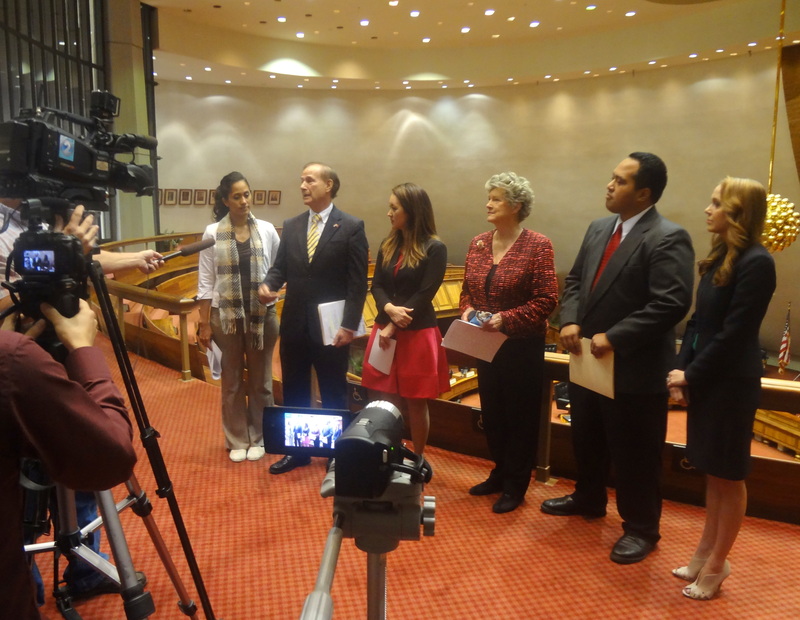 HONOLULU, HAWAIʻI (January 19, 2018) – The Minority Caucus released their bill package today highlighting bills and resolutions that will make Hawaii more affordable, accountable, and accessible. “Our charter schools are unique, creative, and out-of-the-box; they have different ideas. We’ve seen the trend in our state towards school choice as the charter school enrollment increased by 5%. HR 5 will help make our government more accessible to students and families who are seeking different public modes of education,” said Representative Andria Tupola, Minority Leader. For more on the press conference, please see the attached dropbox link. For more on the bill package, please see the attached press packet. The Minority Caucus will be hosting a response to the Governor’s State of the State Address on Monday at 11am in the State Capitol Rotunda. The House Republican caucus raised concerns that a bill to increase the general excise tax (GET) was fast-tracked when the House re-referred it to a single committee. The action would allow House bill 1240, which includes a 0.25 percent GET increase in addition to an extension of the 0.5 percent county surcharge, to have one public hearing instead of the two that were previously required. “Any increase to the GET would negatively impact Hawaii’s working families and increase our already high cost-of-living. Our caucus has long opposed any increase to the GET, and it’s alarming to see this bill fast-tracked in any way,” said veteran Republican Rep. Cynthia Thielen. A 0.25 percent increase in Hawaii’s GET could raise the state approximately $185 million. As drafted, this money would be a dedicated source for education. A similar bill from 2013 (House bill 1368) would have raised the GET for education, but in committee, the money was moved to an unspecified account. House bill 1368 passed second reading with the support of 42 House members, but it did not advance in Finance. “Governor Ige rightfully pointed out that our state is currently spending more than we can afford, but a GET increase isn’t a silver bullet. A measure like this would hurt way more than it helps, and we need to balance the budget without hurting families and small businesses,” said Rep. Gene Ward, another veteran Republican. House bill 1368 (2013) was also re-referred to bypass the House Committee on Education after the contents of the measure changed to remove references to education. House bill 1240, the current GET increase measure, will also bypass the House Committee on Education and be referred solely to the House Committee on Finance. The House Minority Caucus is comprised of Minority Leader Beth Fukumoto Chang, Minority Floor Leader Andria P.L. 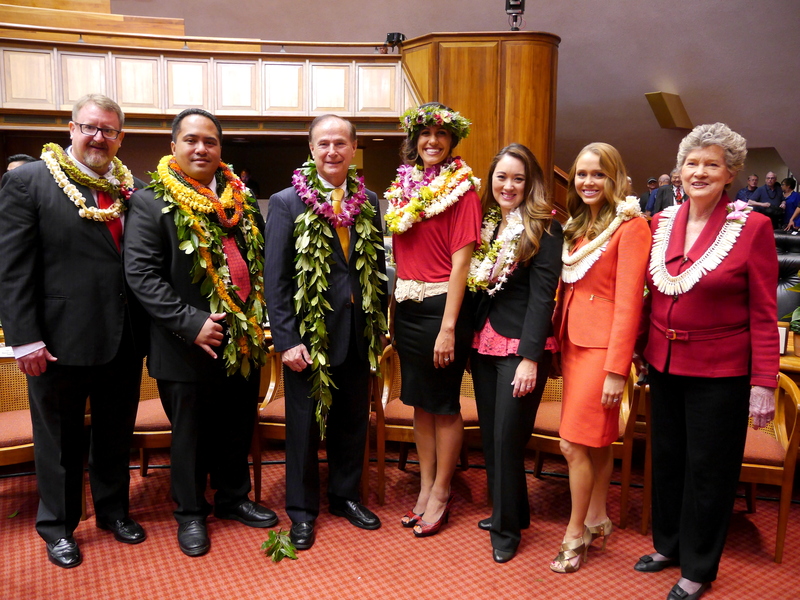 Tupola, Minority Leader Emeritus Rep. Gene Ward, Minority Whip Rep. Lauren Cheape Matsumoto, Minority Whip Rep. Feki Pouha, Assistant Minority Leader Rep. Bob McDermott, and Assistant Minority Floor Leader Rep. Cynthia Thielen.